Yana is the only girl in the Android department. Being quite a young developer, she is very promising and serious about her work. She likes traveling, reading, watching superhero movies and active recreation. Android app, this is the system for receiving products. Managers scan products by barcode according to the order list. Android app, this is the system for receiving products. Managers scan products by barcode according to the order list. goScan (GoPuff’s internal tool) Android app, this is the system for receiving products. Managers scan products by barcode according to the order list. 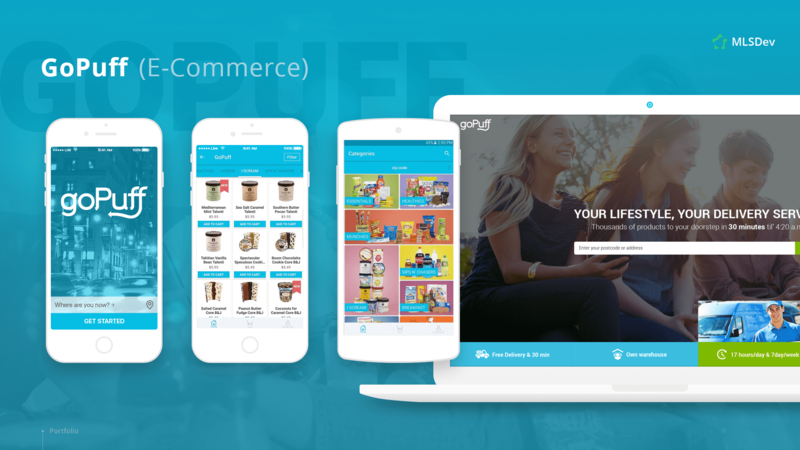 GoPuff is web and mobile on-demand delivery company which is very popular in major college populated cities in the USA. The user receives notifications in different periods of time which depends on the current date of taking a medication dose. Yana has been responsible for the whole native Android app development. The Healexir app is a companion tool for Healexir, the homeopathic product used for surgical recovery. The app guides you through a specific recovery protocol reminding you to take Healexir at regular intervals to ensure maximum and speedy recovery.